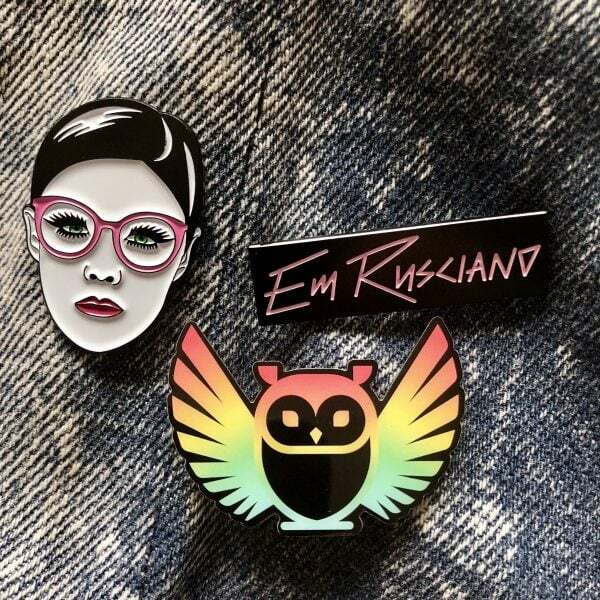 This glorious pack contains a trio of badges: the Disco Owl mascot, the Em Rusciano logo, and a pin of the high priestess herself. These pins have a special meaning, and come with a particular set of rules. Read them here. All pins are enamel, so they will weather the fiercest of storms.